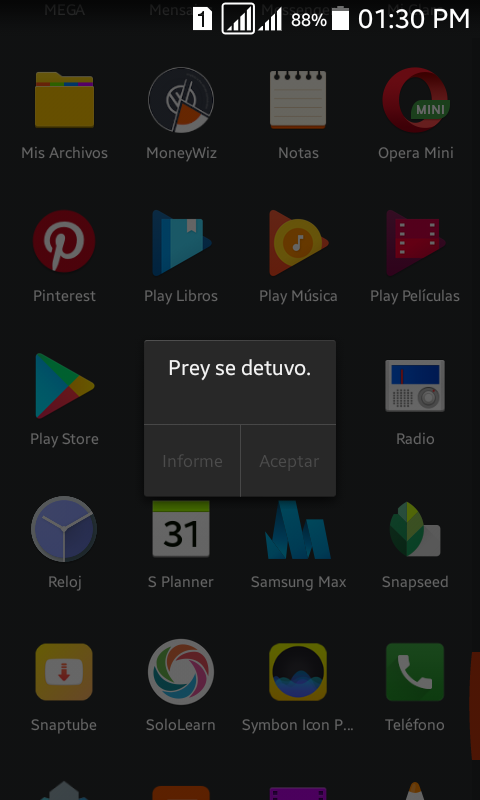 This message appears on my android phone after opening up. I have tried removing and reinstalling to no avail. It did work satisfactorily for some time. This occurs on my Android phone (4.4.4) when I first switch on. Prey had been working satisfactorily for some months. When this error started I deleted Prey from my phone (following the guidance on the web site) and reinstalled. The reinstallation was successful but the fault remained as before. Prey shows among the Apps but cannot be opened. It continues to work on my PC. 2. Use the volume button to select, find the “Control Screen” option > select “Delete Cache Partition” and press the power button to confirm. 3. Finally, restart the system. The "Unfortunately, app has stopped" problem can also be solved by restoring production settings.